The Pusey Room Museum contains much of the professional memorabilia and cherished family mementos of Dr. William Allen Pusey, who was a preeminent physician of the late 1800's and early 1900's. 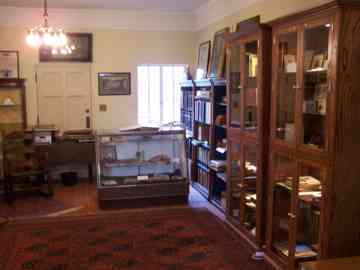 The room, in part, is a replica of his medical office with most of his furnishings and professional related literature on display. Although his practice was centered in Chicago and national in scope, he remembered, in a special way, his native community and family origins. 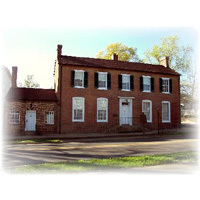 Aside from Pusey memorabilia, the Museum contains other historically significant items such as an original photograph of General Custer signed and dated by Mrs. Custer. Other artifacts include Civil War related items associated with Confederates General Ben Hardin Helm, Captain Martin Hardin Cofer and Lieutenant John Augustus Warfield.